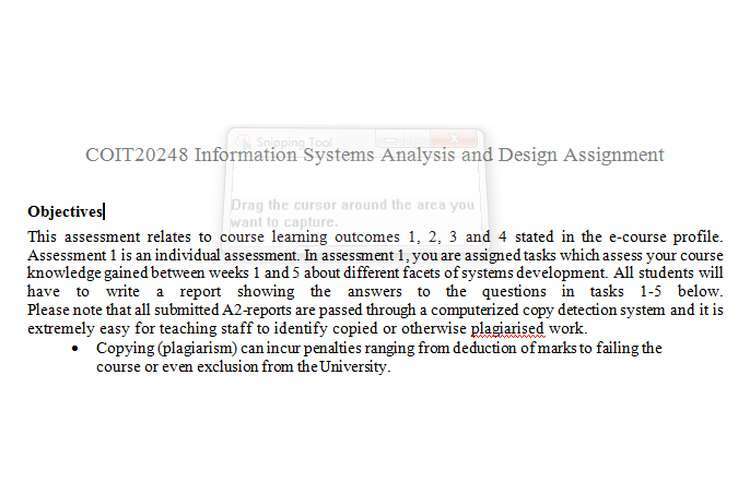 Copying (plagiarism) can incur penalties ranging from deduction of marks to failing the course or even exclusion from the University. For the purpose of this assignment, you are assumed to be one of the consultants appointed to shoulder the system analysis responsibilities in, Logistics Information Systems (LIS) in the project outlined in the case study. Discuss two approaches to system development. Describe system analysis and the major activities that occur during this phase of the systems development life cycle. Describe and compare the six sources of software. How can you decide among various off-the- shelf software options? What criteria should you use? Do you think that in the given case study you can use any off-the-shelf software? Please provide justifications to your answer. What are the primary functional requirements for the system in the case study? What are the non-functional requirements for the system in the case study? Discuss your Project Cost Benefit Analysis. Provide an excel spread sheet with details in a Project Cost Benefit Analysis. Show a work breakdown structure and a project schedule as a Gantt chart. Explain both of them and discuss how they relate to each other. Given the system goals, requirements, and scope as they are currently understood, is the project schedule reasonable? Why or why not? Who are the stakeholders involved? Clearly list all identified external and internal stakeholders. Describe three traditional techniques for collecting information during analysis. When might one be better than another? Justify the usefulness of these 3 investigation techniques. In the template file “COIT 20048 Assessment1TemplateFile” (in MS Word) provided to you, the report for ‘Systems Development’ has been organised using the following headings and guidelines. Introduction must clearly define the aims of the report. Introduction must identify the project objectives. Describe and compare the six sources of software. How can you decide among various off- the-shelf software options? What criteria should you use? Do you think that in the given case study you can use any off-the-shelf software? Please provide justifications to your answer. List the primary functional requirements for the system in the case study. List the non-functional requirements for the system in the case study. Show work breakdown structure in the project as well as the project schedule Gantt Chart? What are they and how do they relate to each other? Present your reflections about this project (e.g. achievement and constraints).